I thought by now that the novelty would have worn off and I would be used to my new hair growth. Not so. I’m still not Robert Redford, but I wasn’t promised that. That’s what I really like about NuHart. They didn’t promise miracles, only a distinct difference that would be noticeable and flattering. They said that I would feel rewarded for getting out from the inertia that was holding me back. Trust me, I had all the excuses…I don’t have the time…I don’t look that bad…I’m in a long term relationship and it doesn’t bother her that I’m balding…I can’t afford it…I don’t want a medical procedure…it’s going to hurt…it might not work for me…I’m not that vain (this coming from a guy who tried the spray-on hair once)…the list goes on. How silly was I to let preconceived ideas stop me from spending four hours that would change my life! That’s it! Four measly hours after I walked into the Nuhart office on a Tuesday evening, I was on the road to a thicker head of hair. I love the feeling of fullness when I comb my hair. That feeling was missing for years. The joke I used to endure in the locker room was that I combed my hair with a wash cloth. It’s nothing but combs and brushes now for this guy! Don’t be an excuse machine like I was…fix it! You don’t have to grow old gracefully. This was so much easier than losing weight or exercising. All I had to do was sit in a chair and watch TV for a few hours and have the stuff fuss over me like I was a celebrity. 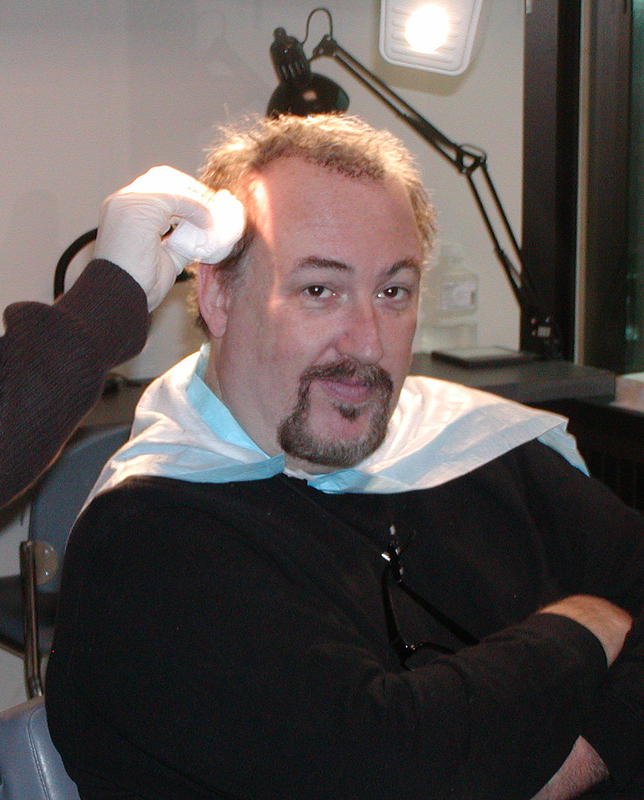 By the way…my significant other really wasn’t all that pleased with my balding, she was just being kind. I know…a cruel dose of reality, but hey, she’s still putting up with me…and my new thicker hair! Checking in with my 11-month update. Growth is coming along nicely. 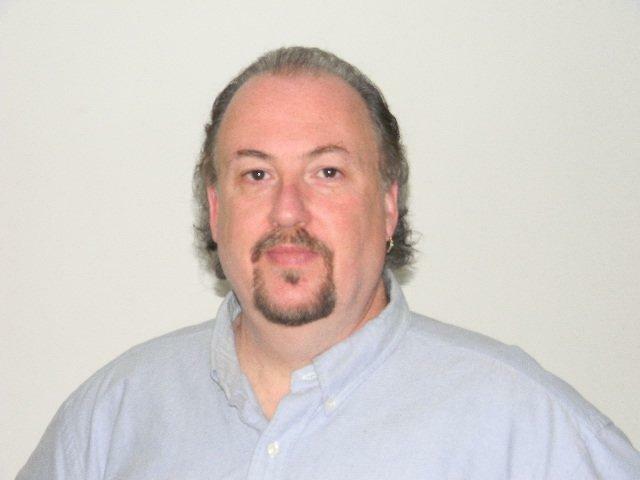 Ok, so I’m still not a chick magnet, but at least I feel better about my appearance …and that’s saying something. I like the way my hair feels now and how I have less scalp showing. It’s getting better each week. Bottom line, I’m really glad I had the procedure done. I’m looking forward to the next few months. Hopefully, I’ll do my next update from the barber shop as he’s cutting all of my thick uncontrollable locks. Till next time…if you’re on the fence about getting this done—come on, jump…you’ll be glad you did. Hi all. It’s been six months and four days since my procedure and I must say that my hair certainly feels different. The pictures may or may not show the growth yet, but my hair certainly feels thicker. I especially notice it when I wake up in the morning. I used to look like a fifty year old Gerber baby with a tuft of hair sticking straight up in the air and nothing on the sides. Now I wake up to a thicker tuft with more hairline coverage. 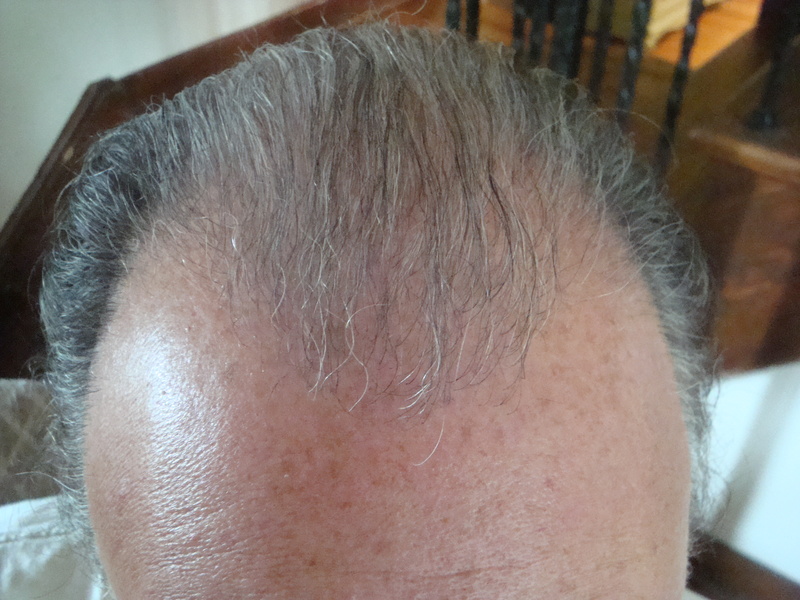 I have definitely noticed that my hairline has stopped receding and is actually filling in. 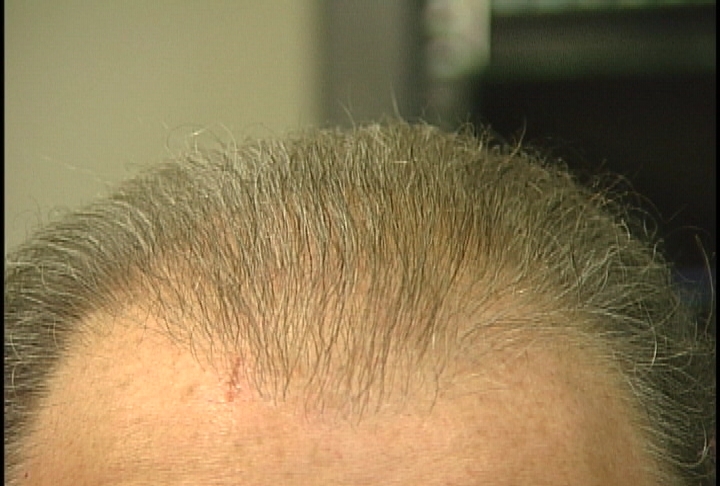 The bald spot in the back, my main nemesis, used to feel cold to the touch when I would stroke my palm over it, because it was obviously bare. Now I feel warmth and hair stubble when I run my palm over it. The guys at the gym actually said that they see a difference. Coming from them, that means something because they typically would use this opportunity to ridicule me…all in fun of course. I’m looking forward to some visual changes soon because I was told that between months six and nine is when most of the growth will occur. So after six months, no, I don’t look like one of the Jonas Brothers, YET, but there is substantial progress. I’m happy and excited about it and yes, very thankful and proud that I took this step to become a better version of the old me. Here’s the video of my pre-op consultation with Dr. Dickinson, prior to my session on 11/17. Some good info here. It’s been 17 days since my procedure and I’ve got new growth already!! It’s like a beard coming in, only it’s on my head. This is so cool! I can picture how the new growth will mix with my existing hair. I can’t wait. I went out yesterday for the first time since my procedure without a hat. I had lunch with a buddy who was unaware of my transplant. He noticed nothing in terms of dots, scabs, holes or any other disfigurement that most people assume would be present. Imagine that, less than three weeks from my procedure and there are no noticable scars or marks. But there is a patch of new growth on my hairline and I couldn’t be happier. The question I get asked the most thus far is would I do it again. If someone asked you, would you deal with two days of discomfort, not pain, just some soreness and healing in exchange for looking 15 years younger? The answer is YES! It was kind of nice being fussed over at the Nu/Hart office and at home for a few days. Although I couldn’t play racquetball for a week, I was able to get back to work in just two days, albeit desk duty. They didn’t want me lugging camera equipment around until some natural healing took place. Bottom line…it was a piece of cake. It’s been 10 days since my procedure and it’s time to remove my stiches. Being the day after Thanksgiving means that I have a lot of leftovers and football to get to, so I made my appointment for 9:30am. First game starts at 11am so I may be pushing it a little. Claudio and Bridey welcomed me and sat me in the chair by 9:20. Some scab cleaning took place to make it easier to get to the stiches. Aside from a couple of pinches here and there it was painless and quick. I was back home with a plate of food and the remote in my hand by 10:40. Great teamwork there. 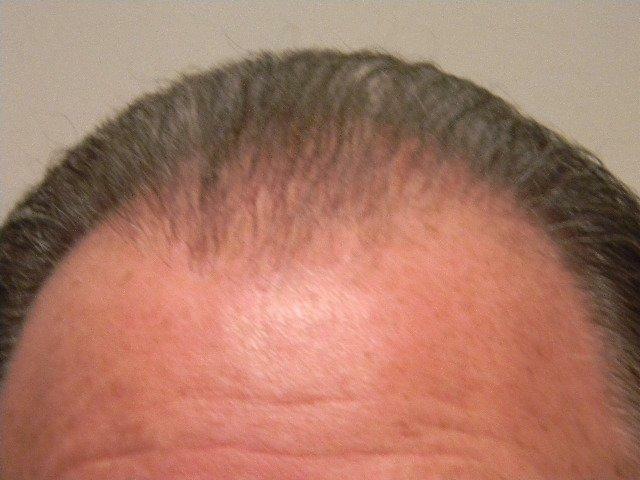 You’ll see in the picture that the healing marks at the front of my hairline reveal where my new hair will be growing. That’s pretty exciting. Afterall, that’s what I came here for, and it’s working! Now that the stiches have been removed, the feeling that I am wearing a hat is gone. I guess it was caused by the stitches slightly stretching the skin. Looking forward to watching my scalp closely each and every day. Things are on the rise! Hi and thanks for checking out my blog. The mere fact that you’re here probably means that, like me, you’re experiencing some hair loss and want to do something about it. 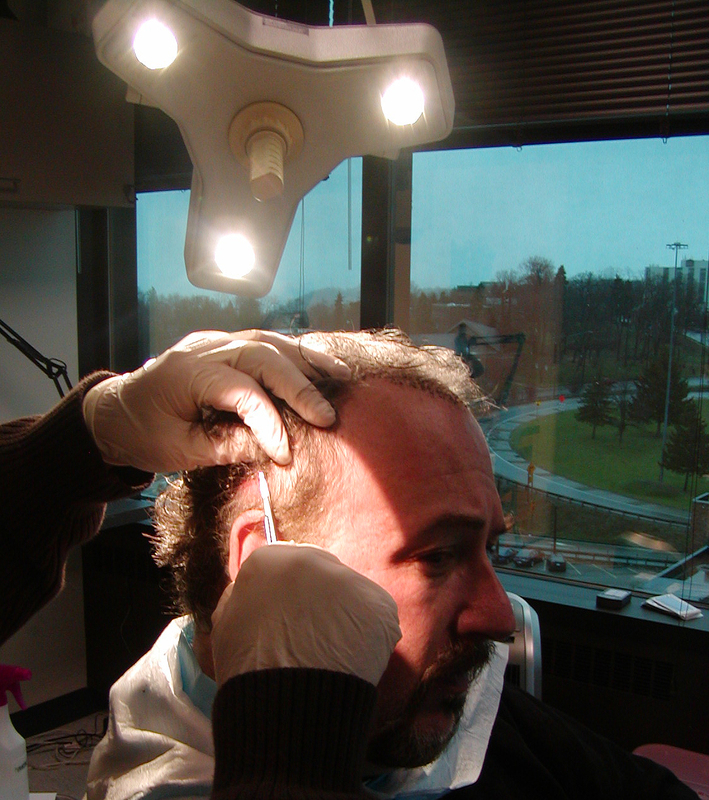 Hopefully, sharing my hair transplant experience with the world will help those who are also considering this procedure, just as other Nu/Hart hair transplant clients have helped to educate me. I can’t tell you how helpful it has been to learn about the process from others who have “been there and done that.” So I’m looking forward to telling my story to you. My name is Dave Manno. I produce television shows and corporate videos. Over the last several years, I have worked with Arrowstarr to occasionally provide video production services to Nu/Hart Hair Clinics, whose corporate headquarters also reside in Pittsburgh, PA. It’s during this time that I’ve been to their facility, gotten to know the staff, learned about their hair transplantation process, and become intrigued with the idea of getting my own hair back. Finally, the day came that I knew it was time for me to stop thinking about getting my hair back – and start doing something about it. 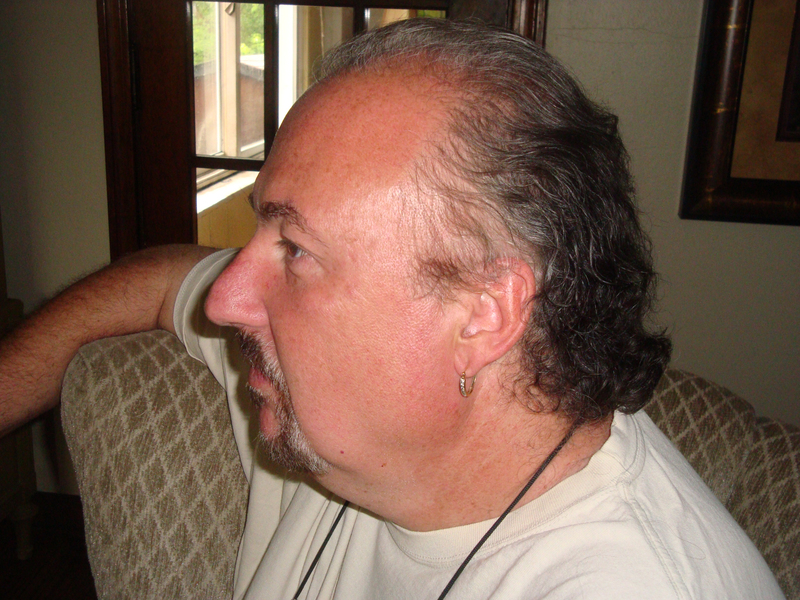 So after a few conversations with their medical staff and Dr. Peter Dickinson, I scheduled my very own hair transplant, which took place just the other day. Okay, I’ll be honest here. 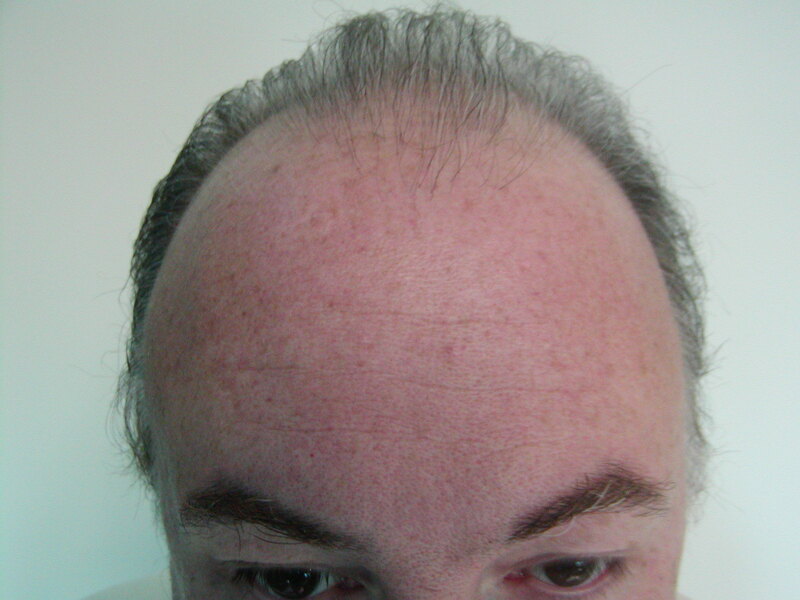 It’s been less than two days since my procedure and if I position myself just right in front of a mirror and dim the lights, the little marks on my head where the hairs were transplanted fill in the spots that were recently bare. I can now truly imagine what my hair and hair line will look like in a few short months. I am totally pumped. I truly look 15 years younger…and that’s with just the marks! Just think what curly brown hair will look like. If I can just reign in my patience, I’ll be in good shape. Though I’ve undergone back surgery, gallbladder surgery, and several very uncomfortable outpatient procedures, I’m still a very fidgety patient. Despite my whining and constant need to take breaks, Dr. Dickinson was extremely professional, patient and understanding. The staff, Bridey, Kristi, Bob and Claudio kept things light and humorous, which was much appreciated. They’re still amazed that I took a dose of valium and I was still fully alert and able to walk out of there in a straight line. They were equally amazed that I drove myself home while eating a Wendy’s burger with my right hand and texting on the cell with my left. Just kidding…the love of my life was there to not only calm and comfort me, but also to drive. Back to the procedure, let’s not pull any punches here. This wasn’t open heart surgery, but it wasn’t a mole removal either. I guess I would say it was similar to maybe a dental procedure. Granted, any procedure carries with it some risks, discomfort and trepidation. But I guarantee you that when I look in the mirror a few months from now, every tug, push, pull, pinch, swell and ache will be worth it. I’ve given Nu/Hart some of my “video log” of the events leading up to the procedure. Next time, I’ll post the video of my pre-operative consultation with Dr. Dickinson.